These are my very favorite things! If something made it to this list, it has gone thru often years of testing and has given us lots of great results. I am forever curating this – so check back every so often. Sign up for my newsletter if you want this list as a pdf. Jarrow YumYum Dophilous – these probiotics are yummy and great food for the good bacteria in our gut. Remember our gut is our second brain. 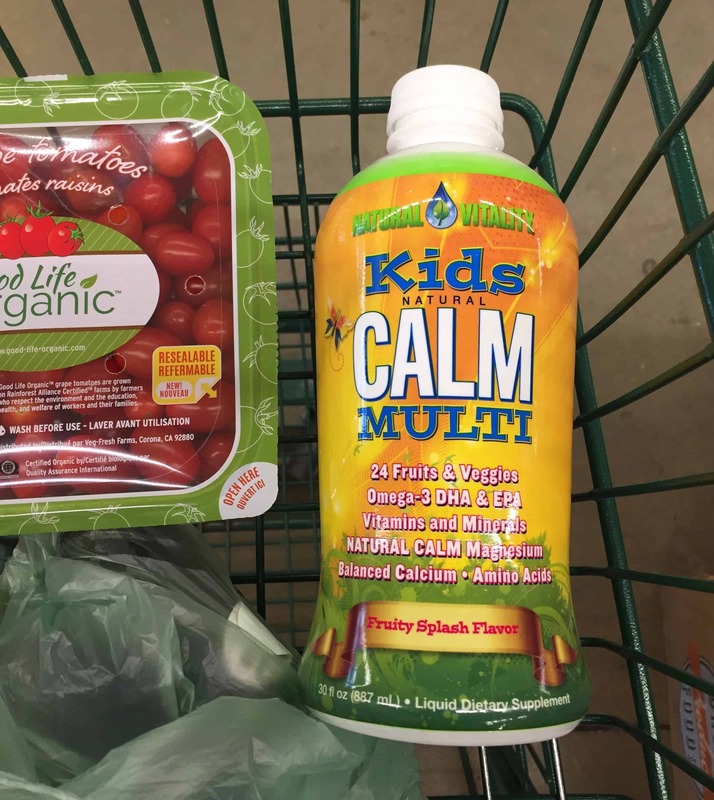 KidsCalm Focus Drink – This is my kids favorite because it’s easy to mix and tastes really yummy. 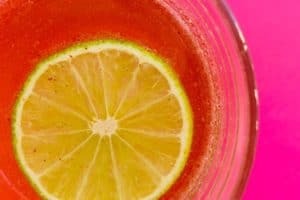 This drink has magnesium to calm and B vitamins for focus. It also has a healthy dose of D – something we are all lacking in. KidsCalm – our daily multi-vitamin with loads of good stuff. My kids tolerate the taste, but you can mix with a little pineapple or OJ to get it down. Barleans Fish Oil – This stuff tastes really good. In fact, my kids just take this on their own. Fish oil is great for brains! Barleans is a staple and has the right balance of DHA and EPA recommended for ADHD. Iron Supplement – Studies show that kids with ADHD often have low iron levels. We have my oldest son tested and he was low! We take these drops with a few ounces of OJ. Too much iron can be harmful, so make sure you get a blood test before administering an iron supplement. Magnesium oil – if your kids can’t swallow the pills, rub this on their feet or the back of their necks. The magnesium is easily absorbed into the skin. It’s great before bed. Sonia Story’s Brain and Sensory Foundation Level 1 class was a very transformational experience for my family. Sonia teaches how to make HUGE changes in behavior and learning with very simple physical movements. This class is the first in a series that teaches you the basics of reflex integration and rhythmic movements. Not sure if you want to make the investment? I wasn’t either. So I took her mini class first to make sure it was right for us. Katie Kimball of Kitchen Stewardship offers 7 cookbooks on her site. I have them all and seriously, they are my most used cookbooks. Healthy Snacks to Go offers easy to make, yummy to eat snacks that go in our lunch boxes on a regular basis. 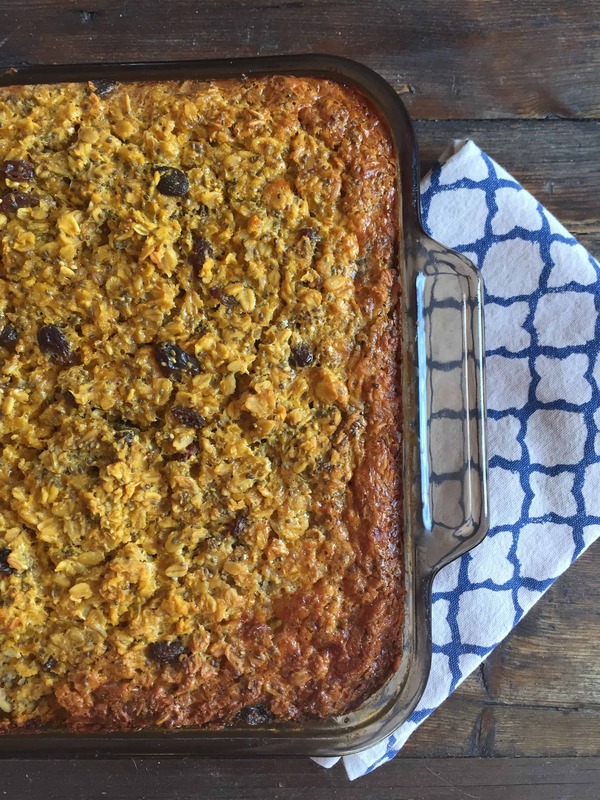 I love that she always offers gluten free or dairy free options for all her recipes. Healthy Breakfasts and Healthy Lunches are kept in a binder in my kitchen cabinet and used on nearly a weekly basis. I have even memorized many of her recipes. Baked Oatmeal, granola, protein bars, healthy brownies, gluten free pancakes and waffles are just some of our favorites. You will not regret purchasing any of her ebooks. 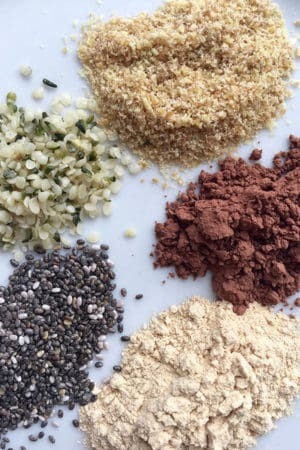 Real Everything Cookbooks – Michale and Stacey Toth are the go to couple for Paleo Family ideas. While we are not strict Paleo, I love their cookbooks for great recipes that are high protein and leave out the grains, sugar, and dairy. Eat Like a Dinosaur is amazing for kids and adults alike. We love the meat muffins, egg muffins, dips and sauces, breakfast hash and many more! ADDitude – This was my first resource I poured over when my boys were first diagnosed. Lots of good general information. They are beginning to offer even more advice about a more holistic approach to ADHD. Seth Perler – Seth is an executive function coach who speaks from personal experience. 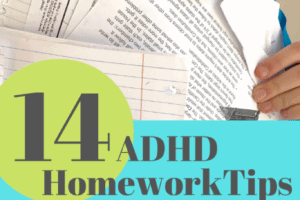 His sight is filled with ideas to help organize your ADHD kids from middle school on up. I love his video series. We have implemented so many of his ideas in the past year. They really work! Ned Hallowell’s sight is full of great information. He is just such a likable guy. I love his compassion-first ideas about treating ADD. He’s written several seminal books that are in my amazon queue. Spend some time perusing his sight. His podcast is great too! Wellness Mama – Katie offers a wealth of information on becoming healthier as a family. She shares recipes and reviews of new, interesting products. 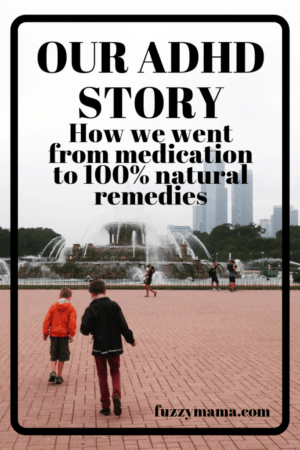 I’ve gotten so much information from her on how to help my boys’ ADHD in a natural way. Her approach is honest and useful. Her podcast is a favorite and I have her cookbook, too. Kitchen Stewardship – This was one of the first blogs I read when I started to adopt a healthier lifestyle – when I just saw an eek of ADHD symptoms in my boys. Katie Kimball’s cookbooks are amazing. I have all 7. Her sight offers doable healthy choices for families with lots of free content. Soule Mama – I have loved watching Amanda Soule’s site grow over the years. Her homesteading, homeschooling life is very different from mine, but I love to sneak a peak and adopt some of her ideas into our lives. 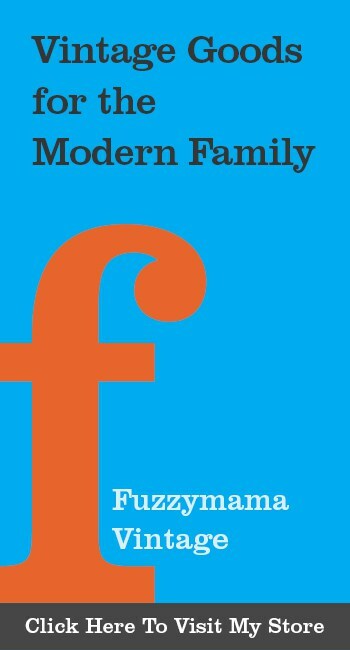 She writes about motherhood in a very comforting, helpful way. Her site gives me a dose of simplicity. I have all of her books, too – this one, this one and this one! 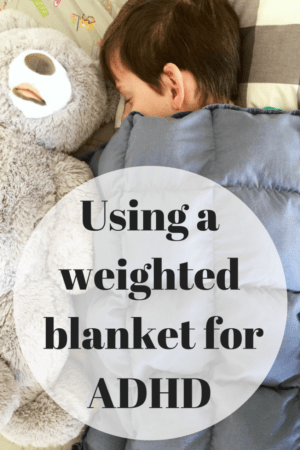 Weighted Blanket – Our weighted blanket is far and away the best money I’ve spent on “a thing” to help ADHD. 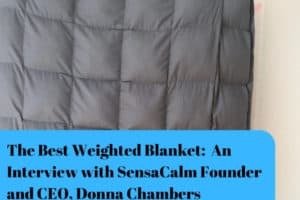 Ours is from Sensa Calm – the quality is amazing, it’s washable and their customer service is impeccable. Their site has a great clearance section, too. 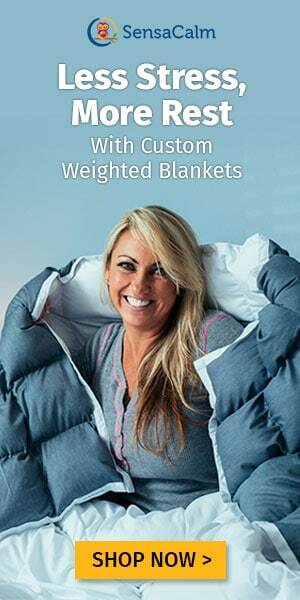 Weighted stuffed animal – Sensa Calm makes weighted stuffed animals, perfect for smaller kids to cuddle. These make a great companion for reading and sleeping, too. 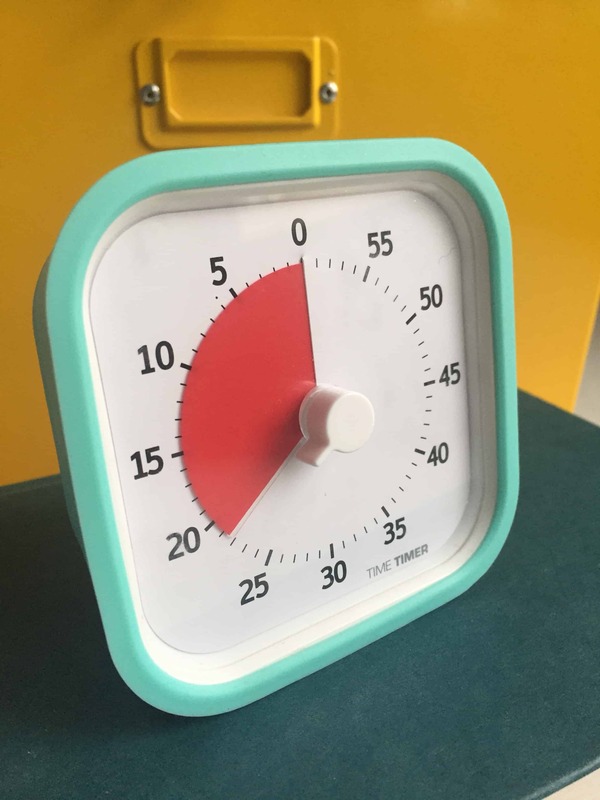 Time Timer – this is the BEST thing to keep my kids focused to do their homework. I love how the timer shows time elapsing. It give my kids a good sense of time passing and continues to help them improve their sense of time. I bought one for my son to use in school and it really helps to keep him on track during the day, too. Headphones – Sometimes shutting out the noise is all it takes to help kids concentrate. My own kids and my Montessori class love these. Elastic Shoe Laces -I never realized how hard it can be for kids to tie shoes until I had kids of my own. Both of my boys took a loooooong time to really learn this skill. These elastic laces fit any shoes and are super easy to fasten. These laces saved a lot of tears until my kids were able to really learn the skill(admitedly, they were in third grade!). Exercise ball – We use an exercise ball in our PT and OT work. Both of my kids love to roll around on it, bounce on it, use it for push ups, etc. It’s a great thing to have when my kids have extra energy to burn. Ours is 65cm and my kids are nearly 5 feet tall. I love to use it as well! Wiggle stool – both of my kids rock back on just about any chair they sit in. It became an argument at every meal….so I ordered them each a wiggle stool and the fighting stopped!! This stool engages the core and allow my kids to move their bodies while eating or doing homework. I don’t know how I lasted so long without it!! I ordered the teen version, but this child version is the same, only smaller. Hippity Hop – A childhood favorite of mine, this is an exercise ball with a handle. Super for indoors and out for getting the energy out,anytime of the year!! These are so inexpensive and have lasted for 3 years now. Each of my kids has one and they love them – even as a tween! Trampoline – I originally got this mini tramp for myself, but my kids soon took it over. It is the most used piece of equipment we have. My kids LOVE to jump on this. We have contests to see who can do 500 jumps the fastest. This has truly been a life saver during the winter months, on snow days and for the witching hour just before dinner. Locker organizer – this was an absolute must for my son the first year he had a locker. Having the extra shelves eliminates the pile of books and papers at the bottom of the locker. The only downside is that you loose your ability to hang a coat – so that gets stuffed at the bottom – but I can deal with that! Three-ring binder – Once my son hit middle school he had such a hard time keeping himself organized. This binder, while not a magic answer, has helped a TON. He can keep everything in it and now forgets homework much less often than before. It’s super sturdy – we are on our second year with the same one. Fox tail – neither of my kids are very “sportsy” so throwing a ball around the backyard is just not something they have ever done. But, we have had a version of a foxtail forever! It’s basically a ball with a tail. You can throw it as a ball or twirl it around by it’s tail and let it go…either way, there is lots of chasing it around the yard. These make great gifts, too!! We love to give the one that lights up! Master a Million counting ball – this ball counts every bounce you make, with the object being to get to a million. I got this for our last road trip and it was fun to do at rest stops. The ball is heavy and makes a louder noise than most bouncy balls. We do this mostly outside – but its fun!! Plasma Car – we never had these at home, but my kids Montessori school did – and my kids rode them every single day for an entire school. They are great in a small space – like your kitchen or basement -OR – ride them on the side walk or a paved path. Bring it to the mall for tons of exercise!! Pogo Stick – An old school classic!! This takes some practice – which is a good thing – my son really works at getting better with this. Takes strength and concentration. Cheap enough to make a great gift, too. Stilts – We don’t have a set of our own yet, just tried them out at a few places and my kids are fascinated. My son will be getting wooden ones like these for Christmas this year. Like the Pogo Stick, these takes some practice – which has been motivating for my son. Head Lamp – My kids use these for camping with Scouts, but they are also very fun for night hikes in the winter. Even though we have an early bedtime, we take hikes around the neighborhood after dinner and these are fun! Ross Greene’s book The Explosive Child was one of the first books I read that really clicked. Dr. Greene’s perspective for raising differently wired kids is so humane and makes such good sense. This book changed how I saw my child and in turn how I parented. A must read if your child is inflexible, has explosions over seemingly minor things. He also has written Raising Human Beings, a book that uses the same techniques for “normally” developing children. Differently Wired is written by Deborah Reber, one of my favorite podcasters. Reber is so candid about raising her differently wired son – it is refreshing and I love her for it! I saw myself in just about every page of her book. The book encourages us to celebrate children who are a bit different and offers heartfelt advice for our often difficult,never boring journey. This book is just so darn helpful – it stays on my bedside for a quick read when I need it. Dawn Huebner writes books for anxious children and their parents. They are all geared for elementary aged kids and offer a really great perspective that kids easily relate to. 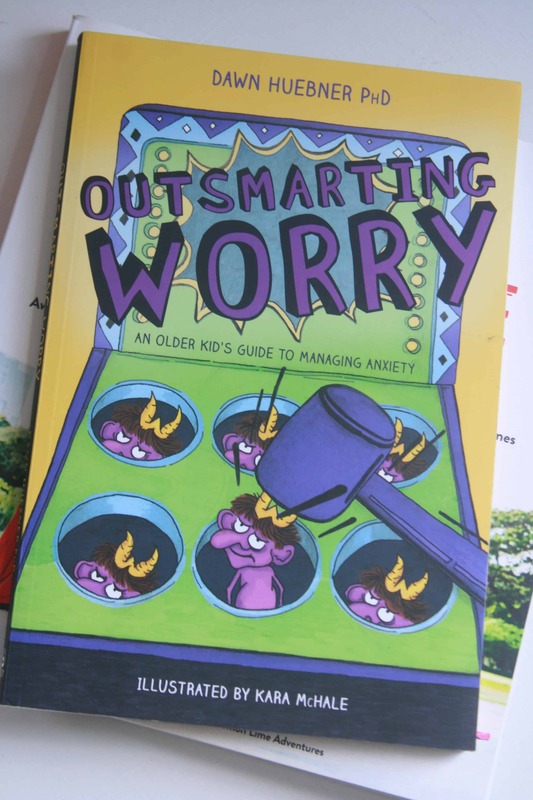 We have Outsmarting Worry which is geared toward tweens. The ideas in it have been groundbreaking for us and my son’s anxiety. The book is super relatable for kids and gives kids an explanation for how and why anxiety acts in the body. It has truly empowered our whole family. Only Love Today – I can’t say enough about this and all of Rachel Macy Stafford’s books. They truly remind me to slow down and love the now. Our kids are growing up so fast and her books are great reminders to be grateful for “what is”. There is no judgement, only grace in her books. Only Love Today is written in small chunks to be read daily or whenever you need a dose of “you’re doing great mama”. I have given this book as a gift to many friends – always well received. Simplicity Parenting – I may be a bit biased, seeing as how I am a Simplicity Parenting Coach. but this is the book to read first. For me, it has been a bible for parenting. Kim John Payne’s ideas about preserving childhood really spoke to me at a time when I was a frazzled mom of toddlers. It still speaks to me a mom of tweens! Connected Parenting – Jennifer Kolari has a very unique take on challenging children. She teaches how to use empathy, instead of a tough stance when kids are having their most challenging moments. Easier said, than done, this method has had an amazing effect on my parenting. When I am able to be loving and kind in the heat of the explosions, the benefits to our family are lasting. How to Talk So Kids Will Listen and Listen So Kids Will Talk is a bible for learning better communication skills with you children. I love the scenarios and concrete examples that Adele Faber and Elaine Mazlish map out. While this is not particularly for ADHD, it has really helped me to look at things from my kids perspective and be a curious listener. Hosted by Debbie Reber, this podcast gives so much support to parents who are raising differently wired kids. I don’t know how it took me so long to find this one. You will totally want to binge listen! Debbie covers a wide variety of topics, all centered around raising differently wired kids. I love Penny’s take on parenting kids with ADHD. She gave me the permission to throw out lots of the parenting books that I tried to keep making work for me. Real life stuff here presented with compassion. So far there are only 6 podcasts, but I am waiting on the edge of my seat for more! I heard Susy on Peter Shankmans Faster Than Normal podcast and loved her immediately. Susy is so open about her journey and speaks a lot about holistic treatments for ADHD(which I love!). Ross Greene, author of The Explosive Child and Raising Human Beings hosts a monthly radio talk show where he addresses both live callers and emails. Hands down, Dr. Greene’s philosophy of Collaborative Problem Solving has had more of a positive effect on our family than any other expert out there. Each show is a smorgasbord of topics all centered around parenting your challenging child.These episodes are filled with real parents and real problems all with thoughtful advice from Dr. Greene and the moms who run his Facebook group. I first heard of Peter Shankman when he was on an episode of the Tilt Parenting Podcast and was immediately impressed by his positive point of view. Shankman interviews successful adults with ADHD and discusses the positives of the diagnosis. Listen in if you need a pick me up – and what parent doesn’t! I can’t believe it took me so long to find out about Ned Hallowell. He is the author of Driven to Distraction, a seminal book on ADHD. His take on ADHD is so positive, I can’t stop listening! Connection is the antidote to distraction, Hallowell believes, and his episodes focus on making connections with your family, friends, and at work. Not specifically about ADHD, this podcast is all about healthy living and family wellness. Katie Wells covers topics ranging from food to meditation to supplements. All of her podcasts include very practical tips you can put into place immediately. Because I see the huge effect that healthy food has on my ADHD kids, I love to stay on top the latest on the wellness front. I love to keep my kids hands busy with something other than a screen. I’ve noticed for a long time that screens do not help to calm my kids, they only make matters worse. So I keep lots of art supplies and building tools handy. Here’s our favorites with approximate age ranges. Beeswax (Age 6 to present) a bit harder to work with than clay, beeswax must be warmed in the hands to be pliable. This is a slow activity but once something is created, it stands up to play – and smells yummy! Air Hardening Clay and tools (Age 4 to present) clay is harder to work with than playdoh, but it can be dried and the projects painted! We get the air hardening kind which takes a few days to harden. Tools are not necessary, but they do make it a bit more interesting, especially for older kids. We’ve used kitchen drawer implements, as well. Colored pencils (Age 1 to present) the quality really counts. You want a nice bright swipe of color without having to press too hard. We loved these thicker pencils when they were little and these now that they are older. Markers (Age 1 to present)As my kids get older, their markers get thinner! We loved these Crayola Markers as toddlers, these in early childhood and these Sharpies now, as tweens. Sketchpads (infant to present) As long as they have been mark making, we’ve had sketchbooks for my kids. I like 9” by 12” and it’s easier if they are spiral bound. As my boys have gotten older, they really like a graph paper sketchbook as well — great for drawing cars and boat and tanks! Tracing paper(3 to present) tracing is a great exercise for the hand and also trains the eye for drawing practice. I love buying it by the roll, so we can tear off exactly what we need. My kids love to use our light table for pictures I print from the net. You can tape it on a window to trace as well. Origami paper (5 to present ) My oldest son love to do origami. Its a great practice that has a meditative quality to it. Get some fun prints as well as some plain paper. A good Origami book makes a nice addition if you don’t want to be looking at how to videos on youtube. These building toys still keep my kids busy! 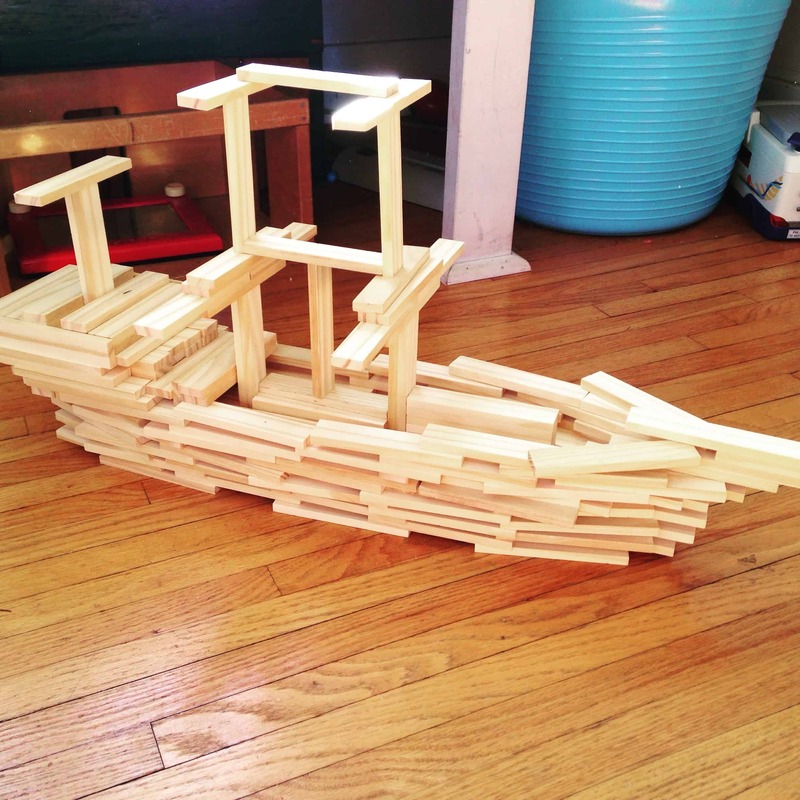 Keva blocks – these plank-like blocks can be used to build just about anything. We got our first set when the boys were 3 and 5 and just kept adding to them over the years. Legos – Honestly, the most loved sets have been the classic sets that really get the imagination going! Marble Run – We’ve had a few versions over the years, but loved this one the most…probably best for the 4 to 8 year old set, but we do drag ours out every now and then! Love to peruse Pinterest? Follow my ADHD Boards here.